This was the claim from plastics company Nampak after a survey conducted by recycling expert Recoup on UK consumer habits. According to the survey, levels of high-density polyethylene (HDPE) plastic milk bottle recycling increased to an all-time high of 79 per cent in 2013. 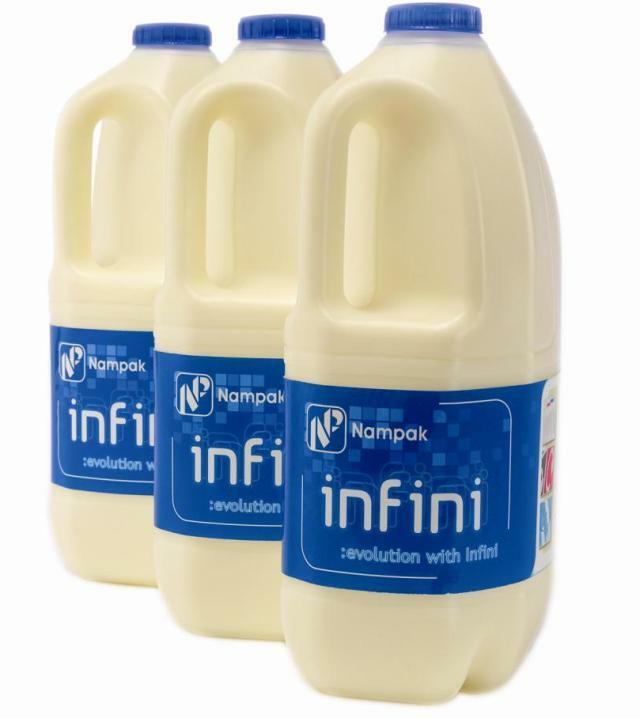 Nampak has said plastic milk bottles are now one of the most recycled products in the UK. The survey estimated 2012 recycling levels saw an estimates 6.9 million pounds of plastic bottles recycled, with 2.1 million pounds believed to be HDPE milk bottles. Eric Collins, managing director of Nampak Plastics, commented: “We are thrilled with the continued progress being shown in the sector. It is something we feel is incredibly important. But Steve Morgan, technical manager at Recoup Recycling said more could be done to further increase milk bottle recycling numbers. Plastic milk bottles in the UK typically contain 35% to 50% recycled HDPE plastic. Industry leaders gathered in Chicago to address one of the industry’s most pressing issues. Industry leaders gathered at this year’s TLMI Technical Conference in Chicago to discuss – among several other topics – sustainable labeling solutions. Session Chairs Cindy White of Channeled Resources Group and Darrell Hughes of Avery Dennison Materials Group North America opened the floor to a panel of five experts with several decades of experience between them. On the panel was Tamsin Ettefagh, vice president of sales and purchasing at Envison Plastics; Weilong Chiang, senior principal engineer at PepsiCo; Mitch Rackovan, principal scientist at Avery Dennison; Jeff Sherwood, technical sales representative at Flint Group Packaging and Narrow Web; and Joel Schmidt, market development manager at Outlook Group Corporation. Ettefagh, who has more than 26 years of experience in the areas of recycling and plastic recycling, opened the session with a presentation that examined the difficulties faced by plastic recyclers, and took a look at what label manufacturers can do to make the recycling of plastics easier. According to Ettefagh, its not only policy that drives recycling initiatives. Consumer product companies have made it a priority to have their plastic packages collected and recycled, and to incorporate recycled content into their packaging. To put the growth of recycling initiatives into perspective, Ettefagh told the audience that HDPE recycling grew from “nothing” to a half billion pounds in 1996. The need for continued research, development, and innovation is critical, she said. “There is no such thing as a plastic so good it can just be thrown out,” she said. Chiang has lead several sustainability projects at PepsiCo, including a recent and extensive study to identify the key features of recycling-compatible shrink labels. During the course of this study, Chiang said, he had the opportunity to visit several recyclers. At one site, he had the opportunity to see firsthand the number of contaminated bales kept in a storage yard. There were hundreds, all filled with shrink, pressure-sensitive, metalized, and other specialty labels. While his focus has been on shrink labels, Chiang drove home the point that recycling solutions for any and all materials need to be found – and the sooner, the better. Shrink labels that are compatible with PET recycling are emerging, he said, but the driving force behind progress in this field will be continued collaboration between brand owners and label converters. Rackovan’s work at Avery Dennison has included the design of products intended to mesh with a PET container value stream through the recycling process. He was part of the team that established the Engineered Films business and the launch of Primax and FasClear film products. He also develops adhesives designed to meet the performance and cost demands in the beer and beverage markets. His presentation focused on the recycling of pressure sensitive labels. The biggest problem, he said, is that today’s pressure sensitive labels limit PET recyclability, prohibiting recyclability into food-grade rPET (due to adhesive contamination). The solution, he said, is a “switchable” pressure sensitive label which adheres to a PET bottle until the end of the cycle, where the cohesive bond is broken (at the recycler), thereby allowing the PSL facestock and adhesive to cleanly separate from the PET flake. The key market drivers for this solution, he said, are numerous. The use of rPET reduces US dependence on foreign oil and petrochemicals; the recycling industry alone employs more than 450,000 Americans and generated $10.3 billion in domestic tax revenues; and for every pound of rPET flake used, energy is reduced by 84% and greenhouse gas emission by 71%. Sherwood’s presentation focused on the recycling of flexographic inks. The bottom line in terms of recycling flexo inks, he said, is that there can be no staining to PET flakes. Printed labels are required to meet APR’s Guidelines for PET Thermoform Labels and Adhesives for Compatability with PET Recycling, and each label has to be evaluated and tested as a unique construction. One hurdle, he said, is that testing is expensive; costs can run up to approximately $5000 per submission. For his work in recycling flexo inks, pre-qualification testing was performed by Avery Dennison. Numerous construction combinations were tested with different inks and APR-approved substrates. The results were varied, he said, but generally paper constructions failed. Films performed far better. Constructions with an OPV or lamination performed the best. Of the colors tested, he added, yellow and black stained the PET flakes more than others. Unprotected inks – which include those printed directly on paper or on a film without a lamination or UV OPV – broke down significantly more when mixed with the caustic solution, he said. UV and water-based inks appeared to perform the same in terms of breaking down into solutions with or without the OPV or lamination. Looking towards the future of flexo ink recycling, Sherwood said some possibilities include alternative pigments (though they could be costly), alternative barriers on paper, alternative ink chemistries (including different resin systems), and solvent-based inks. Finally, Schmidt offered a converter’s perspective on sustainable label solutions. He outlined his customers’ sustainable label demands, which include source and waste reduction, a greater use of sustianable materials (including renewable, bio-based, and PCR), greener end-of-life options, and above all else, practicality. His customers, Schmidt said, want zero operational impact and it must be either cost-neutral or offer cost savings. He said that there are three key strategies for success: broader industry partnerships, expanded technical expertise, and extensive customer engagement. Part of this strategy, he said, is simiply to communicate the benefits of sustainability in a way that customers can readily understand. Consumer Packaged Goods (CPG) companies love to innovate with their packaging. Packaging is, after all, one of the top tools in the marketing playbook, and a great way to differentiate a product from its competitors. Some companies choose to switch materials to shake things up; some do packaging redesigns to achieve the slick look that has shelf appeal. Heinz introduced its upside-down bottle in 2002 to make pouring Ketchup easier. Soda and drink companies constantly tinker with labels to achieve a new look. The competition to achieve Greener packaging has been one of the top priorities of many CPG companies as they all seek to increase the sustainability of their products. Polling data shows that increasingly more people are searching for environmentally friendly products, and the major companies are racing to meet the demands. One of the most recent developments in sustainable packaging has been the rise of bioplastics as a resin source. Bioplastics can be a deceiving term and idea. The word “renewable” is often used to describe the value of bioplastics as a sustainable solution. It’s true to an extent; resources such as sugarcane, corn, beets, food processing plant waste and the like can all be used to produce plastic resin. But does “renewable” equate to being sustainable? The truth is that the chemical makeup of resins produced from “renewable” sources is no different from those produced from petrochemicals. Just because a bottle is derived from a plant does not reduce its need to be recycled! History also teaches us that even though a source can be regrown, that does not necessarily make it a sustainable or pragmatic option. When it was discovered that corn could be used to produce ethanol fuel, it was initially seen as a major victory for renewable energy and a move toward a sustainable energy future. Over time, the expansion of ethanol proved to be the cause of a major worldwide increase in food prices that had a particularly negative effect on developing countries http://www.ase.tufts.edu/gdae/Pubs/wp/12-02WiseGlobalBiofuels.pdf. Paper comes from a renewable resource but, as we have learned, deforestation has had a devastating effect on many eco systems around the world. As a community moving toward a sustainable future, we must be careful when labeling a “renewable” resource as the sustainable solution and consider all the repercussions. This isn’t to say that plastics made from “renewable” resources are bad. They are a very positive development and one that should be part of our overall plan to reduce our impact on the environment. What concerns us most is that focus will be taken away from the real issues at hand, if people are led to believe that “renewables” will solve plastics’ negative environmental image. We believe that “renewables” are a new and important source of recyclable plastics. They must be recycled in the same manner in which all other plastics are recycled today. They will not replace fossil fuel derived plastics just as ethanol has not replaced gasoline for cars. The truth is, there just isn’t enough available economically to use it on a broad scale. Recycling plastic is still the second most favorable environmental solution, after reuse. Let’s make sure that “renewable” plastics get recycled and that packages produced from it include recycled content. IRVINE, Calif.—Pureology introduced its Hydrate Collection, a vegan hair care line designed for dry, color-treated hair. It contains the company’s Anti Fade Complex®, a blend of antioxidants and full spectrum UVA/UVB sunscreens including heliogenol, plus vitamins C and E. In addition, the collection features a multi-weight protein complex made with soy, oat and wheat. For improved environmental sustainability, each bottle is produced with 50 percent of EcoPrime, the only FDA-approved, post-consumer recycled High-density polyethylene (HDPE) from Envision Plastics. For secondary packaging, Pureology decreased the amount of cardboard and uses Forest Stewardship Council (FSC) certified cardboard boxes made from 100 percent recycled fibers. Pureology also added educational messages to these boxes, reminding purchasers to recycle the box and providing tips on how they can conserve water. Pureology’s shampoo and conditioner bottles are 100 percent recyclable. Hydrate Shampoo: Sulfate-free, salt-free, color-preserving formula derived from coconut, corn and sugar with rose, sandalwood and green tea extracts. Hydrate Condition: Formulated with jojoba esters, shea butter, peppermint, sage and rosemary extracts and peppermint and corn mint essential oils. Hydrate LightCondition: Formulated with jojoba esters, shea butter, peppermint, sage and rosemary extracts and peppermint and corn mint essential oils. Hydrate HydraWhip: Formulated with avocado, shea, jojoba and mango butters, peppermint, sage and rosemary plant extracts and an aromatherapy blend of rose, plumeria, sandalwood, amber and vanilla. Hydrate ShineMax: This product is formulated with multi-weight silicones, a selected blend of some of the most technologically advanced silicones. It also contains a mushroom blend (Shiitake, Mannentake and Mucor Miehei) and an aromatherapy blend of bergamot, orange blossom, thyme, cardamom and cinnamon.